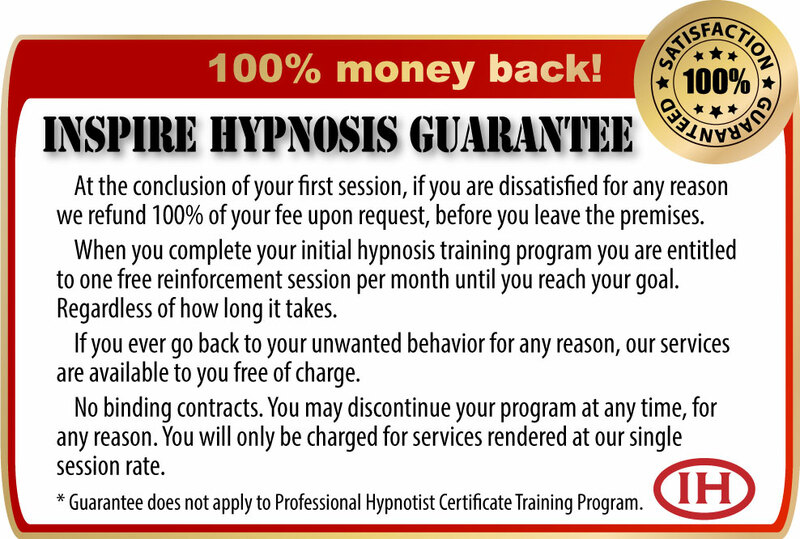 The people you see in Inspire Hypnosis' television commercials are real people who had real results with hypnosis. NO ACTORS. Change your mind and change your life at Inspire Hypnosis. Case studies appearing on this site are true, factual and documented. Inspire Hypnosis does not suggest or imply they are a typical result. Individual results vary. Who Else Wants to Be on TV? After you reach your goal you may have an opportunity to be on our next TV commercial. Just tell your hypnotist you want to tell the world about YOUR SUCCESS. We will put you on our list of successful clients who want to educate the public about the true nature and the many benefits hypnosis has to offer. The people you see in Inspire Hypnosis' television commercials are real people who had real results with hypnosis. NO ACTORS… Change your mind and change your life at Inspire Hypnosis. Case studies appearing on this site are true, factual and documented. Inspire Hypnosis does not suggest or imply they are a typical result. Individual results vary.